It’s not enough to be well educated or employed to become independent from a violent partner: according to the report “A way out of violence” it’s important to invest in women’s economic empowerment in order to help women to go out from a violent relationship. This report in one of the activity of the European Project WE GO (Women Economic-independence & Growth Opportunity) and it will be presented at the European Parliament in Brussels, on 30Th November during the final conference of the project. WE GO! 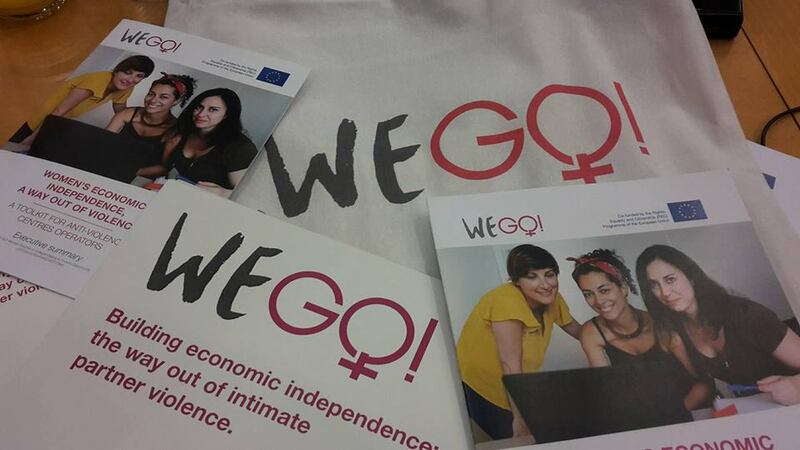 (Women Economic-independence & Growth Opportunity) is a two-year project co-financed by the European Union focusing on this specific issue affecting women undergoing intimate partner violence (IPV): the lack of economic independence to be able to leave a violent partner and ensure sustainable alternatives for themselves and (if they have) their children. The report contains the results of a data collection involving the antiviolence centers (AVCs) partners in the project and centers who contributed to the project implementation. 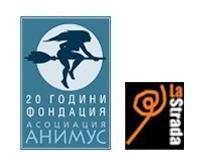 The centers are based in four EU countries: 1 in Bulgaria, 6 in Greece, 3 in Italy and 2 in Spain. The purpose of the data collection was to contribute to build knowledge on the specific issue of the economic needs of women survivors of IPV, focusing specifically on their socio-economic characteristics. A total of 552 profiles of women assisted by AVCs centers were included in the project database. The majority of the women assisted by AVCs are between 30 and 39 years old (32,5%) and between 40 and 49 (29,2%). 21,8% are aged between 18 and 29 and 16,5% are 50 years old or more. The majority of the women are well educated: 38,8% of the women have a upper secondary education and 22,7% have tertiary education. 29,6% have primary or lower secondary education and only 9% have less than primary education. In the majority of cases the perpetrator of violence is the husband/partner (41,7%) or the ex husband/ex partner (48,7%). The experience of violence is long: 23,7% of the women have experienced violence for a period included between 5 to 10 years and 26,5% for more than 10 years. If the perpetrator is the husband/partner, the violence lasts longer: in this case, 27% of women suffer violence for a period included between 5 and 10 years while 32,7% for more than 10 years. The report underlines how economic independence is a crucial element: 82,5% of the women have low level of economic independence against 17,5% who have a high level of economic independence. 40,9% are employed while 59,1% are unemployed. Only 13,3% of the women live in house that is their exclusive property and 14,8% share the property with their husband or partner. 73,7% of women have dependent children and most of them have children aged up to 13 years old. 53% of women were subjected to one or more forms of economic abuse by a partner/husband or former partner/husband. Of these, 22,6% declare they don’t have access to the household income, 19,1% cannot use her own money freely while 17,6% of women declare that their expenditures are monitored. 16,9% don’t known the household income and 10,8% of women are not allowed to work/find a job. Organizations and AVCs involved in WE GO! Project ask to national and European Institutions to support Antiviolence Centers in their activities aimed to give an adequate response to women who decide to say “no!” to violence; it’s necessary to include in national statistics on violence against women data collection and analysis on the socio-economic profile of women undergoing gender-based violence, including IPV. Organizations and AVCs ask to the Institutions to support the entrance in the world of work of the women who suffered violence, with professional and education programs and job placement activities dedicated. Moreover, policies should include both shelters and long-term temporary safe housing solutions among the services that need to be provided and ensure that children of survivors of IPV can access quality childcare services, so their mothers can engage in income generating activities and have time to dedicate to their personal and professional development.